On a recent visit to Turkey, an international delegation from War Resisters’ International spoke to Turkish peace and human rights activists, who have demanded that the arms trade to Turkey should stop immediately. “The war in Afrin as well as the oppression in Turkey, particularly in the Kurdish regions, is made possible by arms which came especially from Germany, Spain, Italy and Russia. As long as countries continue to sell weapons, these are used for the oppression and the violation of human rights. One main step to hinder this would be to stop the arms trade immediately”, one human rights defender told the group. 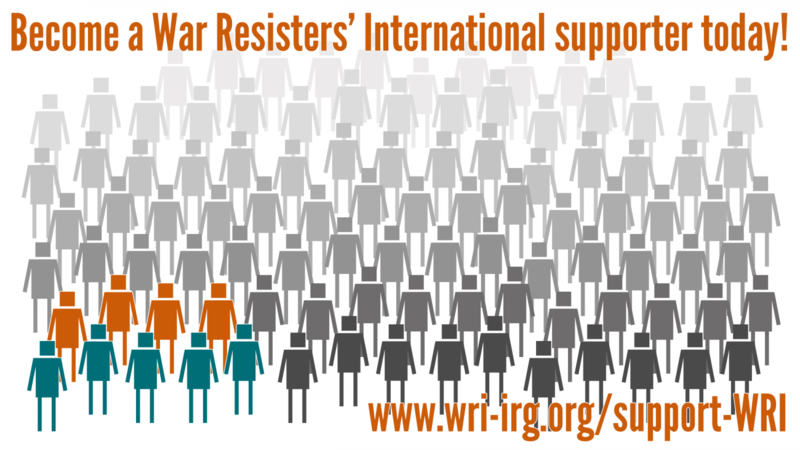 The Turkey Working Group of WRI consists of members of Connection e.V., Bund fuer Soziale Verteidigung (BSV), International Fellowship of Reconciliation (IFOR) Austria, War Resisters’ International (WRI), La Transicionera (Spain) and activists from Turkey. The working group was formed during the violent conflict in the southeast of Turkey in 2015/16, and went public with the demand to stop the cycle of violence in Turkey. The group was horrified by the increasing deterioration in the human rights situation in Turkey. Since Turkey's operation in North Syria started, it is very difficult for activists in Turkey to even use terms like “peace” or demand the return to a peace process with the Kurdish population. Nevertheless, during talks with different groups and organisations, the Working Group also found that contrary to the picture given by Turkish media, popular support of the war in Afrin is not unequivocal. An independent survey suggests 30% of the population do not support the conflict, and human rights organisations are approached on a daily basis by men who do not want to serve in this war. And, in spite of fear and harsh responses by police, there are still activities going on to protest the war. Just this past week, for example, students at an Istanbul university dared to unfold a banner saying “no” to the war. They were immediately labelled as traitors and terrorists by the Turkish President. Regarding the upcoming peace marches at Easter, the Working Group on Turkey calls to strengthen these activities by declaring solidarity for peace and human rights groups in Turkey, and to take a clear stand against the arms trade to Turkey.